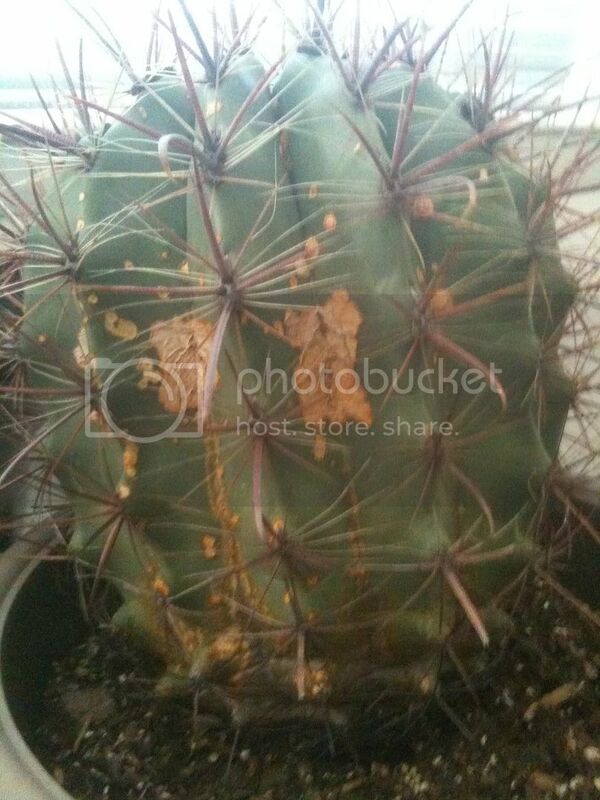 My barrel cactus has developed these areas all over it and I'm not sure if this is a fungus, rot, or what. If it is a fungus what can I use to get rid of it? If it's rot should I repot the plant? I've had this plant for about 4 years and it has grown a little and flowered yearly, so I really hate to lose it. Thanks. A few of my cactus have that also. I think it is just a sunburn. If it would of been rot, believe me your cactus would of been dead in a few days. I think "I like plants", is correct since it seems to be forming a reparative skin due to a possible agression on the plant tissue. Yellow colour along bottom of barrel cactus, is it sick?